I love Shetland wool: the smell; the feel; and the durability. As I have hand knit a number of items using Shetland wool, such a Cockatoo Brae Cardigan by Kate Davies Designs, I thought it was about time to make some project bags too. 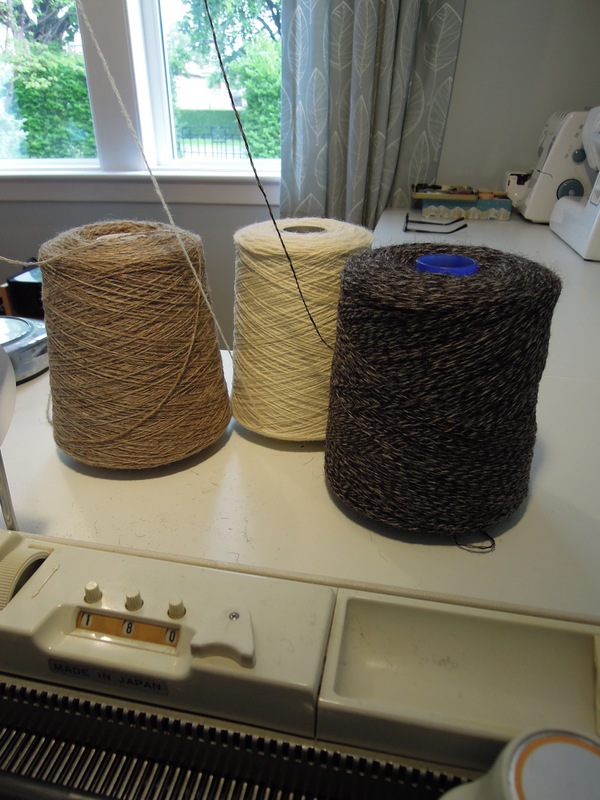 I had a look at the various products on offer and decided to purchase three cones of oiled 2/9 Shetland Freedom undyed wool from KnitRennie in different shades. This Scottish wool is amazing and the natural tones complement each other beautifully. After a number of trials, I knit up some fabric using my Bandit Brioche and Mini Tessellating Callanish Standing Stones patterns. 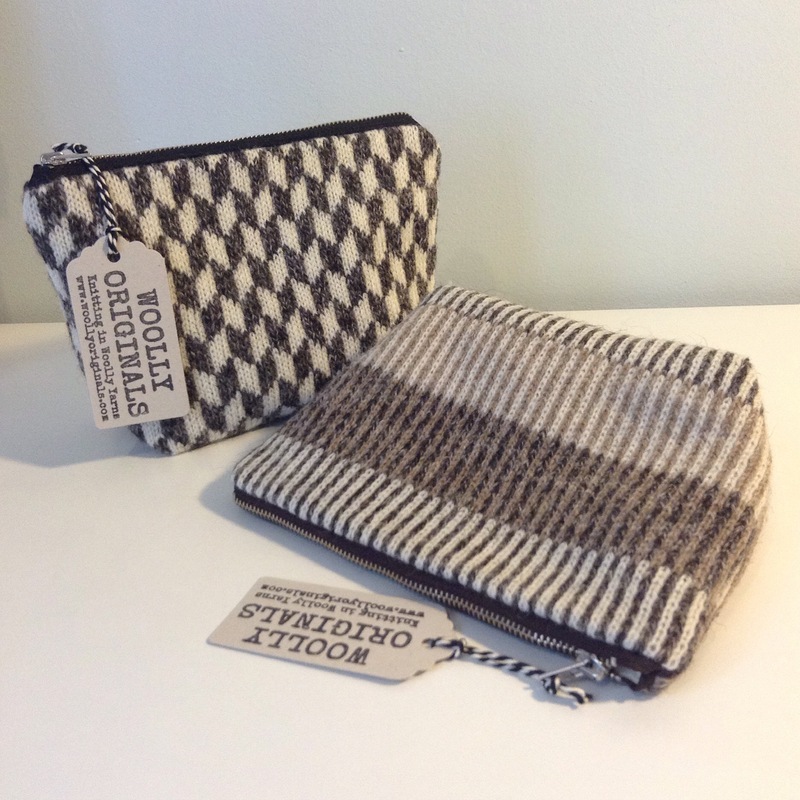 I then used the woolly fabric to make a pair of tool bags lined with a complimentary ivory linen from Scottish Linen in Fife. These are now for sale in my e-shop.